I couldn’t help myself but shoot this photo. 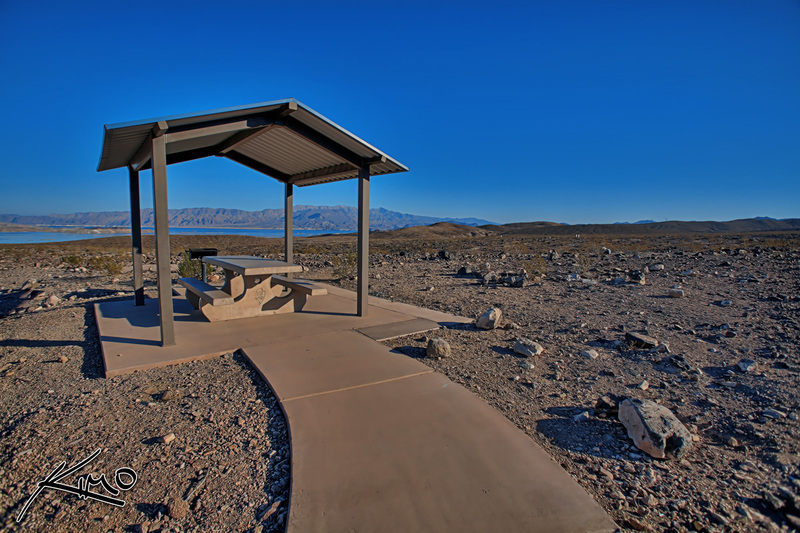 While driving to the Valley of Fire I spotted this picnic area out in the middle of the desert. In Florida we have picnics at the beach, in Neveda it’s the desert. Needless to say the entire picnic area was deserted. I can’t imagine why. Photo Location: Neveda desert in the middle of nowhere.